Tanay, officially the Municipality of Tanay, (Tagalog: Bayan ng Tanay), is a 1st class municipality in the province of Rizal, Philippines. According to the 2015 census, it has a population of 117,830 people. It is located 57 kilometres (35 mi) east of Manila, although a typical commute between Manila and Tanay will take between one and three hours depending upon traffic conditions. It contains portions of the Sierra Madre Mountains and is bordered by Antipolo City in the north-west, Baras, Morong and Teresa in the west, General Nakar (Quezon Province) in the east, and Pililla, Santa Maria (Laguna province) as well as the lake Laguna de Bay in the south. It is the epicenter of the Tanay Tagalog dialect, which has the deepest modern Tagalog words in the Tagalog language and is the only endangered Tagalog dialect. Tanay was settled by early Austronesian people. Shortly after the conquest and subjugation of Manila by the Spaniards and the surrounding lake areas by Juan de Salcedo in 1570-1574, Franciscan missionaries arrived to Christianize the inhabitants of what is now the Morong-Pililla area. In 1583, both Morong and Pililla were created as separate towns with Tanay forming part of Pililla. Tanay was founded as a separate pueblo (town) in 1606 under the name "Monte de Tan-ay". In 1620, administration was moved to San Antonio (now called Inalsan or Pantay) and Tandang Kutyo. In 1638, the town was burned during an uprising of Chinese living in the area, and the town was rebuilt in 1640 at the present day location. In 1747, the town of Tanay consisted of only eight barangays, namely Nuestra Senora del Rosario, Sa Josep, San Ildefonso de Tanay, San Francisco de Maytubig, San Pedro de Alcantara, San Lucas y San Antonio, San Apostol and San Agustin de Balugbog. In 1853, a new political subdivision was formed. The town of Tanay together with Morong, Baras, Pililla, Angono, Binangonan and Jalajala form the Province of La Laguna, with the capital at Morong. This district was later changed to Distrito Politico-Militar de Morong after four years. Tanay became a Municipality in 1894 as an effect of the Spanish Maura Law. The first election of Public Office took place in 1895–1898 and 1898–1900 under the Revolutionary Government of the Philippines. Tanay members of the Katipunan fought valiantly during the Revolution against Spain. The town was the headquarters of the second military area of the Philippine Revolutionary Government under General Emilio Aguinaldo. And for a brief period between 1899 and 1900, Tanay served as the capital of the then Morong Province after Philippine–American War broke out and the American forces invaded the lake towns and captured Antipolo. In 1900-1901, Tanay as was under the Government appointed by the American Military under Taft Commission. 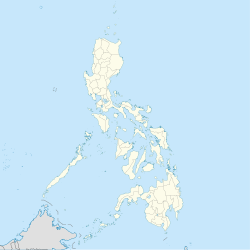 From 1903–1934 the town leadership was under the American rule then in 1934 Tanay was under the Commonwealth of the Philippines as the Tydings–McDuffie Act was approved on March 24, 1934 until the Philippines fell to the hands of the Japanese during the Second World War in 1942. In 1942–1945 the Mountains of Tanay served as the Guerrilla base for 'Marking's Fil-American Guerrillas, beginning the Liberation of Tanay in March 1945 a very decorated by the Filipino soldiers of the 4th and 42nd Division of the Philippine Commonwealth Army, 4th Constabulary Regiment of the Philippine Constabulary and the recognized guerrillas against the Japanese occupation forces during World War II. General Agustin Marking is buried in a private cemetery by the road overlooking his son's farm in Sampaloc. On June 19, 1959, The REPUBLIC ACT NO. 2336 - an act establishing a SUMMER RESORT in Sampaloc, Municipality of Tanay, Province of Rizal is approved whereas there is hereby established a summer resort in Sampaloc. The Commission on Parks and Wildlife shall issue such rules and regulations for the establishment of such resort is taken place. In October 2003, deposed Philippine president Joseph Estrada was transferred to a rest home in Sampaloc, a mountain barangay. He remained under house arrest until he was given executive clemency by President Gloria Macapagal-Arroyo. During the Typhoon Ketsana (Ondoy) on September 26, 2009, Tanay was one of the hardest hit towns due to the rising of Laguna Lake and the flooding of Tanay River. In the 2015 census, the population of Tanay, Rizal, was 117,830 people, with a density of 590 inhabitants per square kilometre or 1,500 inhabitants per square mile. The majority of the population consists of Tagalogs who live near Laguna de Bay, though there is also a significant percentage of mountain dwelling people living in the northern portions of the municipality. The town's major trades consist of fishing, agriculture and regional commerce. The roots of the Sambalic languages can be traced back to Tanay, where the etymologically similar Sinuana or Remontado Dumagat is still spoken in villages in the Sierra Madre mountains between Sampaloc and General Nakar, Quezon. Tanay with its Barangays in Poblacion, celebrated its Fiesta every 22nd, 23rd, and 24th of January, commemorating the town's patron, Saint Ildephonsus of Toledo and Our Lady of Guadalupe. Events like Amateur Singing Contest, Serenata, Band Drill Jamboree, prestigious pageants like Mr.Pogi and Miss Gay Exceptionals, are held in this season. Most of the residents are Roman Catholic which consists of 50,126. Roman Catholic: - a total 58% of the town's population. Other Christian Denomination - comprises 38%. Members Church of God International - MCGI, Ang Dating Daan. Seventh-day Adventist Church: Tanay SDA Church located at De Castro Subdivision, Bathala SDA Church located at Sitio Bathala, Brgy. Plaza Aldea(going from Momarco Resort), Sampaloc SDA Church located at Old Public MArket of Brgy. Sampaloc, there are also church at Brgy Pinagsabiran, Sitio Dayapa, Brgy. Cayabu, Sitio Nayon, Sitio Manggahan among others. Calinawan Cave and Rawang Pass: Stronghold of the Filipinos in the Revolution against Spain and in the Filipino-American War in April–May 1900. It also housed the towns people during the Second World War, beginning the Invasion of Tanay in March, 1945 from the Filipino soldiers and recognized guerrillas against the Japanese Imperial forces. Daranak Falls and Batlag Falls: A popular local tourist attraction. Masungi Georeserve, in the Sierra Madre mountains near Cuyambay, may be of interest to hikers and geologists. Parola, the historic lighthouse of Tanay, offers a picturesque view of Laguna de Bay as well as several nearby restaurants. Tanay Church: Also known as Saint Ildefonsus of Toledo Parish Church or Iglesia Parroquial de San Ildefonso de Toledo(in Spanish), was built between 1773–1783 using forced labor, and is the second oldest church in the province. Commonly known for its Station of the Cross which hailed as one of the most artistic in Asia with its controversial "Bolo knife" used by a Roman soldier. Declared as one of the five Jubilee Churches in the Diocese of Antipolo and National Cultural Heritage by the National Commission for Culture and the Arts along with 25 other churches all over the Philippines. Tanay Coliseum, near the Municipal Hall, features cockfights and local boxing matches. Tanay Park: Adjacent to the church, this is the main social gathering place in the town, where during festivals one may observe performances of the Tariki dance, or the Subok. It is also the place where Annual Amateur Singing Contest is held during the Fiesta Season (January 22,23,24).A monument of José Rizal also stood there. Tanay Town Center (SaveMore): The First Community Mall ever established at Tanay, showing the start of Business Development in the Area. Regina Rosarii Institute of Contemplation in Asia (Regina RICA): A 71-foot-tall statue of the Queen of the Holy Rosary. Tanay Adventure Camp, at Sitio Malaanonang, Tanay, Rizal, 1 km from the University of Rizal System, holds the record for having the longest zip line (230m) in Rizal. Daraitan: a barangay with 1 hour trip from the town. Its famous attraction is the clean Daraitan River. DSWD National Training School for Boys and Golden Acres (Home for the Aged): Located at Sampaloc, Tanay, Rizal. A home for some Children In Conflict with the Law and a conducive place for elderly. There are public utility jeepneys, buses, tricycles, pedicabs and GT/UV Express Service FX are operating in the town. These facilitate the movement of people and goods to Metro Manila and nearby towns of Rizal. There are jeepney terminals in Tanay: Tanay Public Market (going to Taytay, Cainta (with terminal at Robinson's Place Cainta - Junction), Binangonan, Angono, Cardona, Pililla, Jala-Jala, and Siniloan, Laguna and Mandaluyong, Metro Manila (also known as Crossing), Sampaloc (Tanay - Bayan) and going to Cogeo Gate 2, Antipolo City via Marcos Highway in Sampaloc. The UV Express terminal traverses at Robinson's Galleria - EDSA - Starmall and SM Megamall - EDSA - Central, Mandaluyong City. These routes traverses via Morong, Teresa thru Antipolo City and via Ortigas Avenue Extension in Cainta and Pasig ends at Crossing - EDSA/Shaw Boulevard, Mandaluyong City with terminals at EDSA - Central, EDSA Starmall and Parklea Centre. The Second line is at Manila East Road, the routes ply at Baras, Morong, Cardona, Binangonan, and Angono up to SM Taytay and ends to Junction at Tikling. Another jeepney route starts at Sampaloc-Tanay-Junction, Marcos Highway (also known as Marikina-Infanta Highway) plying Barangay Pinugay at Baras, Paenaan, Padilla and ends at Cogeo Gate 2, (both in Antipolo) with terminal at Antipolo City Mall (Public Market). The bus terminal is also located at the Public Market. This route plies at EDSA/Crossing Mandaluyong. The Municipal Council approved the P80+ million budget for the construction of the new municipal building of Tanay. The lending company will be the Landbank of the Philippines, Tanay Branch. Certain issues and debates from different sectors and influential names about the construction arrouses, and still now under public consultation and hearing. The municipality also holds an annual festival named "HANE Festival". HANE (Pronounced /Ha-Ne/, not /heyn/) comes from the Tanayan term of saying OK or please ("Galingan mo, Hane?" roughly translates to "Do a great job, OK?"). The festival began on the year 2011. The festival starts on November 12, which is also the anniversary date of the San Ildefonso Parish, the town's local Parish. The festival ends on November 20. The festival aims to present the beauty of Tanay, and all the natural and man-made wonders that can be visited in the area. Street Parades, Contests happen within the Tanay Park every day in the duration of the festival. To promote and market the town’s cattle and agri-eco tourism not only within the municipality but also in the CALABARZON region, the Municipal Government of Tanay holds Tanay Rodeo every third week of January each year. The festival is also in line with the celebration of Tanay Town Fiesta. It is participated by professionals and rodeo enthusiasts, and veterinary/animal science students from renowned universities in the country. This municipality is also the setting of GMA Network's 2010 TV program: The Last Prince, Alice Bungisngis and her Wonder Walis. It is home to the 2nd Infantry Division of the Philippine Army, the Jungle Fighter Division located at Barangay Sampaloc. It is the site of the main campus of the University of Rizal System which is also located in Barangay Sampaloc. It is the site of Philippine Nuclear Research Institute (PNRI)-PAGASA Tanay Station. ^ "Municipality of Tanay, Its Profile". Archived from the original on 2007-03-22. Retrieved 2007-06-20. ^ "Tanay, Rizal Climatological Normal Values". Philippine Atmospheric, Geophysical and Astronomical Services Administration. Archived from the original on 18 October 2018. Retrieved 18 October 2018. ^ "Tanay, Rizal Climatological Extremes". Philippine Atmospheric, Geophysical and Astronomical Services Administration. Archived from the original on 18 October 2018. Retrieved 18 October 2018. ^ Tourism, Tanay. "Tanay Rodeo Festival". Municipal Government of Tanay, Rizal. Retrieved 2016-02-12. Wikimedia Commons has media related to Tanay, Rizal. This page was last edited on 16 March 2019, at 08:55 (UTC).